This entry was posted on June 29, 2012, 09:54 and is filed under Pickles, Urban Farm Challenge. You can follow any responses to this entry through RSS 2.0. You can leave a response, or trackback from your own site. My chives are beginning to blossom in the garden – I can’t wait to try this! It’s such a good way to use the blossoms and so easy! Oooo, I might just try this! 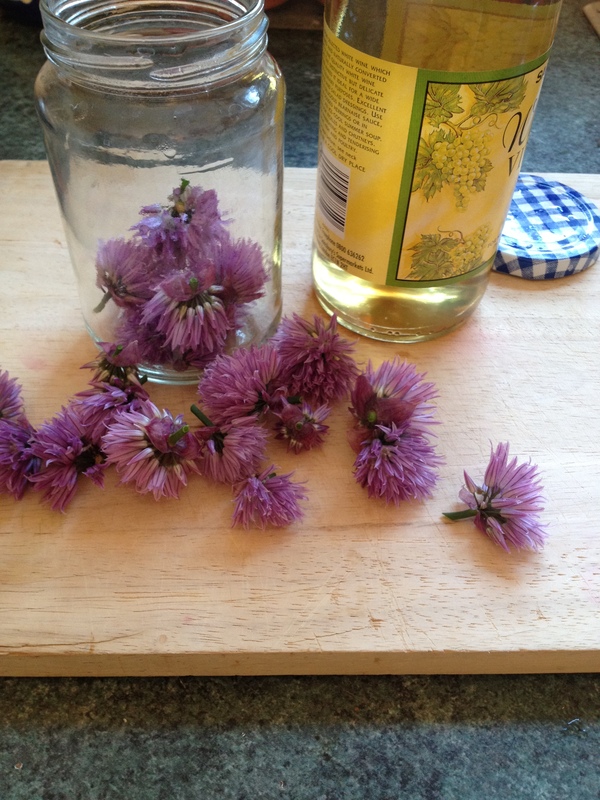 Have never used chive flowers before either! It does look v pretty. Thank you! Its funny how we ignore the flowers, I think they have more flavour than the leaves! 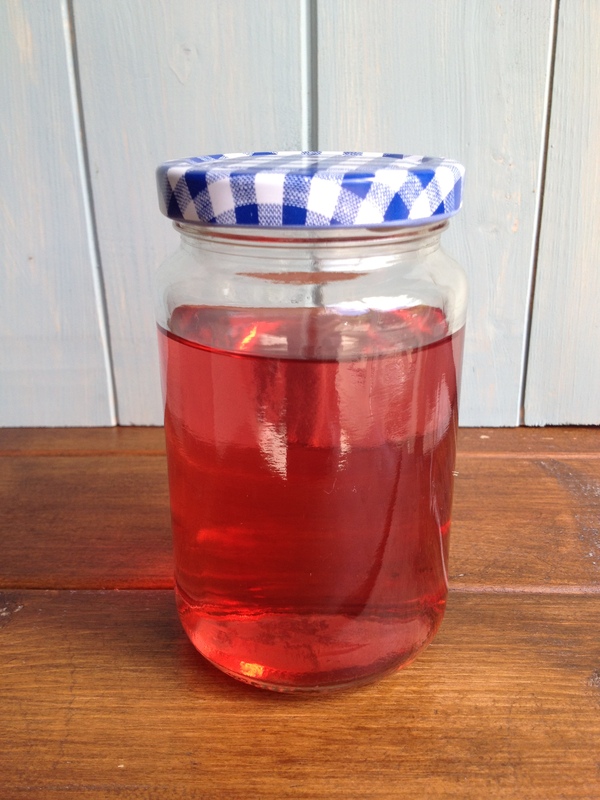 Your vinegar is gorgeous Jayne! I really want to try this, I have a tiny pot of chives that never flowers 🙂 I need to plant some just to make this vinegar! Thank you! It is a nice addition to all the other vinegars we use! I wonder why your chives don’t flower? That is so so pretty. I wonder if you could whizz it up into a pretty pink creamy dressing? For very girlie salads? What a great, fun idea!! 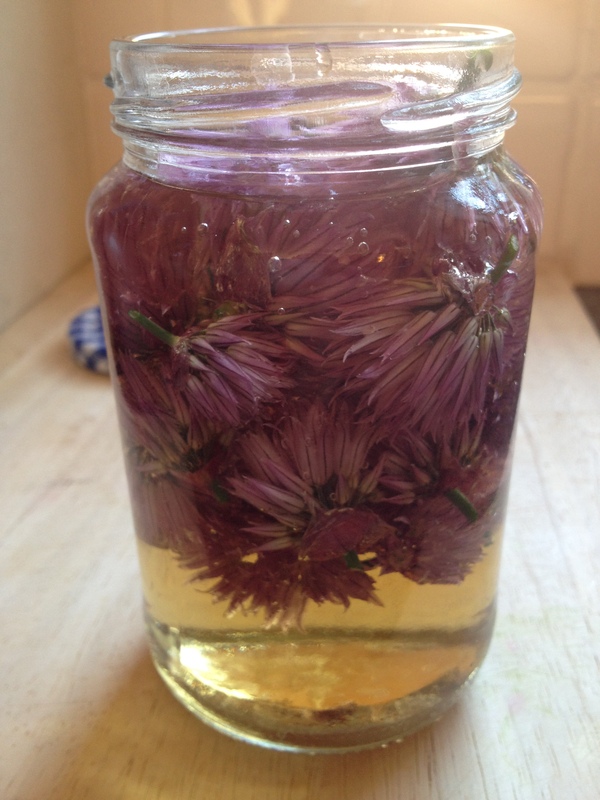 What a brilliant idea, I wonder if I have any chive flowers left in the garden which I could use for this gorgeous looking flavoured vinegar. Bet it gives you the most wonderfully onion taste without being harsh…..and it’s so pretty & pink! Thank you! It is more oniony than you would think.